Since Michael Jordan retired once again, people started saying that the Air Jordan line should be discontinued. 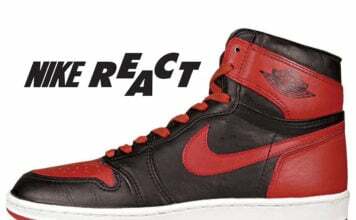 But of course, Tinker Hatfield, Micahel and the other designers thought otherwise. It was time to look for inspirations, something different, something not previously used on another shoe. So the idea of the Air Jordan 15 would be to pay respect to Michael and his years in the NBA. The X-15 fighter plane came into mind at the moment. This plane broke the speed records, and set its own at 4,502 miles per hour. The X-15 is the best there ever was, just like Michael. Rumor also has it that the tongue on the Air Jordan XV is inspired by Michael Jordan, since he always sticks his tongue out when he goes for a dunk, shot, or layup. Some nice features of the Air Jordan XV are the hidden quick-lace system, seamless dynamic-fit sleeve, Kevlar mesh uppers, Zoom Air sole, rubber herringbone pods, injected TPR external heel counter, and a breathable leather pattern. So the question is, how would the Air Jordan XV do with the consumers? Sadly, the high expectations for the Jordan 15 to sell well were not met. The Air Jordan XV is disliked by many (and most likely the most hated Air Jordan). The quality of them was terrible, the inner sleeve was too loose, and very uncomfortable. 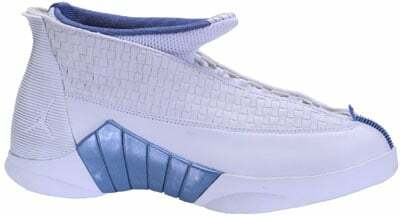 In 1999-2000 when the Air Jordan XV released they sold for $150.00, and a total of four color ways were released. 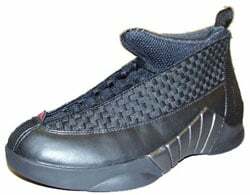 Also three pairs of low Air Jordan XV released ($140.00) and four pairs of moccasins were released ($90.00).